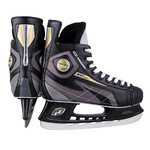 Suitable for recreational players and non-contact hockey on the pond, the Hockey Skates CCM Tacks 9040 SR are solid skates that not only make sure your ankle stays in the correct position but also provide protection to your foot when you get hit by a puck. 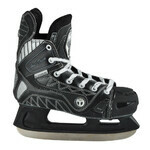 The durable brushed microfiber provides maximum comfort during wear. 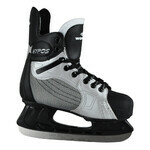 The 5mm felt tongue protects your instep and does not leave pressure marks. 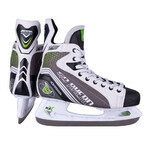 The solid, in-mold sole allows for excellent transfer of energy to the blades while the CCM Footbed insoles support your feet and keep them comfortable. 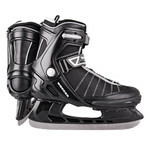 The high-quality, CCM Speedblade Pro stainless-steel blades are firmly fixed on the boot while the solid holders can deal with extensive pressure which occurs when you suddenly change direction and or when you get hit by a puck. 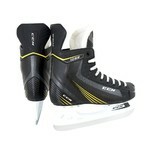 Moreover, the Hockey Skates CCM Tacks 9040 SR also offer a better attack angle. 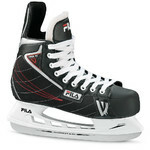 Last but not least, the blade is pre-sharpened.